We are looking for hard working people with a “can do” attitude and believe in our core values to help build an extra-ordinary company. If you are looking for an exciting career in one of the fastest growing food concepts in Texas, please fill out the application below. Fruitealicious taught me so many things and made me into a better teammate and employee. The skills I learned at Fruitealicious, especially those to do with teamwork and work ethic, have been a key part of where I am in my career now. It was a job that challenged me and developed me into the person that I am today. I am now a math teacher at Plano ISD. Serving drinks has nothing to do with what I do now, but I apply the lessons and values I learned at Fruitealicious to my job every single day. I would not take back my experience as a Fruitealicious Mixologist for anything in the world. It melded me into the hard-working, dedicated, and positive person that I am today. I have the utmost respect for Jon and Carmen and the remarkable company that they have worked so hard to create. I am forever grateful that they empowered me to live my life to the fullest and helped me become the greatest version of myself. 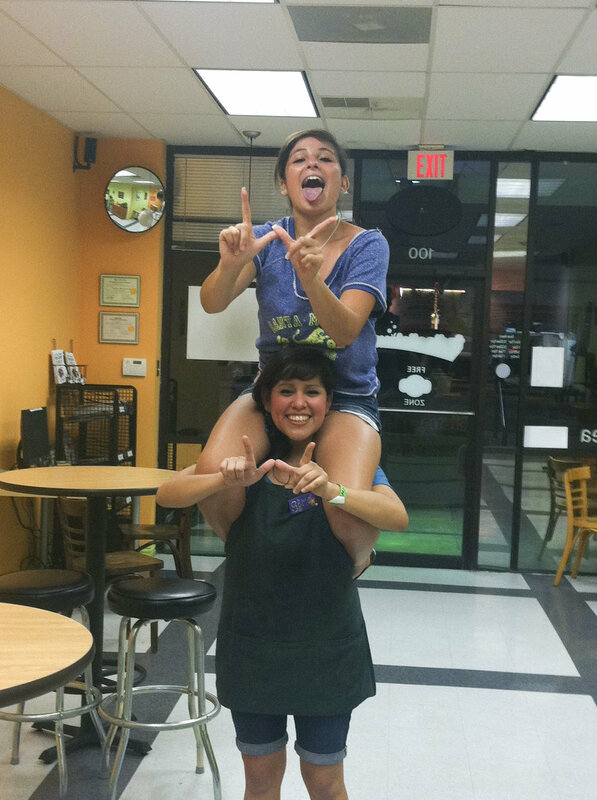 Working at Fruitealicious was one of the best times of my life. I learned to work within a group for a common goal where no one was overshadowed. My coworkers turned into great friends I still hang out with to this day, deep relationships most people never see in their jobs. I'm currently working as an emergency room registered nurse and I have carried with me the vital skills of empathy, leadership, and persevering discipline I learned during my employment at Fruitealicious. During my time at Fruitealicious, I learned valuable life skills such as the value of a dollar, how to work well with others, and the importance of great customer service. I am thankful for the opportunity I was given at Fruitealicious and know that my experiences will help me be successful in my future nursing career. I was able to stray from the path I was on and began to create a foundation of excellence in all aspects of my life. I learned what a good work ethic was and how to achieve it through optimism, perseverance, and accountability. We perform our best when we know that our actions will yield positive results for someone we love and care about.